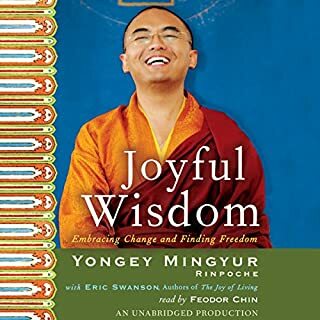 Divided into three parts like a traditional Buddhist text, Joyful Wisdom identifies the sources of our unease, describes methods of meditation that enable us to transform our experience into deeper insight, and applies these methods to common emotional, physical, and personal problems. The result is a work at once wise, anecdotal, funny, informed, and graced with the author's irresistible charm. this is a great book, but will have to revisit. Two New York Times best-selling authors unveil new research showing what meditation can really do for the brain. In the last 20 years, meditation and mindfulness have gone from being kind of cool to becoming an omnipresent Band-Aid for fixing everything from your weight to your relationship to your achievement level. 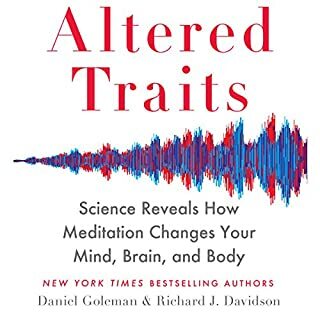 Unveiling here the kind of cutting-edge research that has made them giants in their fields, Daniel Goleman and Richard J Davidson show us the truth about what meditation can really do for us. Accessible, playful, and genuine, this concise guide shows how we can incorporate our own daily experiences into our spiritual path and awaken to how things truly are. 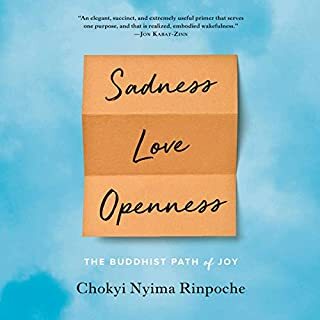 By embracing sadness, love, and openness in our lives, we develop an altruistic attitude to help all beings who suffer and to reduce our own greed and aggression. 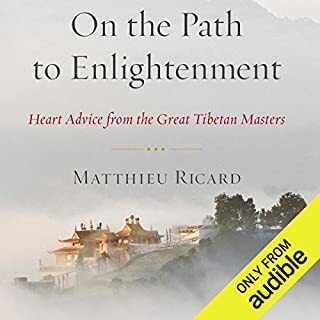 This easy-to-listen-to manual by one of the most widely loved and respected Tibetan Buddhist teachers of our time teaches us how to honestly explore and deal with our own hang-ups and neuroses. Yongey Mingyur Rinpoche’s experience begins the night he has chosen to embark on a four-year wandering retreat, slipping past the monastery gates. Alone for the first time in his life, he sets out into the unknown. His initial motivation is to step away from his life of privilege and to explore the deepest, most hidden aspects of his being, but what he discovers throughout his retreat – about himself and about the world around us – comes to define his meditation practice and teaching. In the beginner's mind there are many possibilities, but in the expert's there are few. So begins this most beloved of all American Zen works. 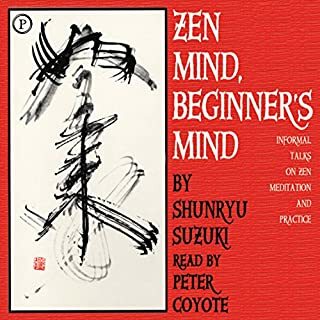 Seldom has such a small handful of words provided a teaching as rich as this famous opening line of Shunryu Suzuki's classic. In a single stroke, the simple sentence cuts through the pervasive tendency students have of getting so close to Zen as to completely miss what it's all about. An instant teaching in the first minutes. And that's just the beginning. When does enlightenment come? At the end of the spiritual journey? Or the beginning? 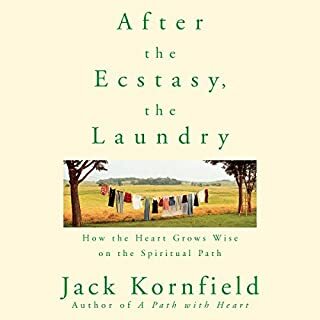 In After the Ecstasy, the Laundry, Jack Kornfield brings into focus the truth about satori, the awakened state of consciousness, and enlightenment practices today. The result is this extraordinary look at the hard work we all must do - the laundry - no matter how often we experience ecstatic states of consciousness through meditation and other disciplines. Another wonderful offering from Jack Kornfield. In this unique and important book, one of the world's great spiritual leaders offers his practical wisdom and advice on how we can overcome everyday human problems and achieve lasting happiness. 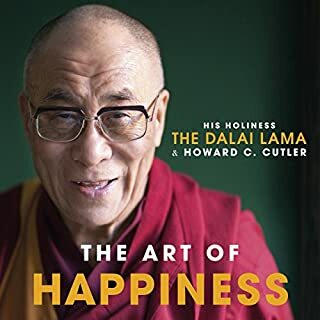 The Art of Happiness is a highly accessible guide for a Western audience, combining the Dalai Lama's Eastern spiritual tradition with Dr Howard C. Cutler's Western perspective. The profound techniques of Vipassana (or insight meditation) are all rooted in the Satipatthana Sutta, the Buddha's practice-oriented teaching on the four foundations of mindfulness. 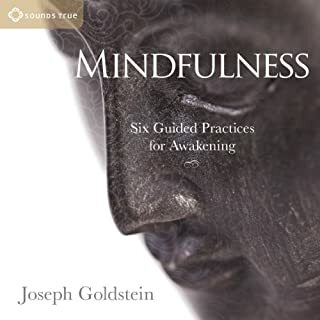 With Mindfulness, Joseph Goldstein brings you a series of core teachings and guided practices for "looking directly at the nature of the mind and body, at how suffering is created, and how we can awaken and be free." Known to the world as Papaji, Sri HWL Poonja introduced Satsang to the West. Eli Jaxon-Bear, who met Papaji before he was well known, set out on a mission of spreading Papaji's name and teachings to everyone. 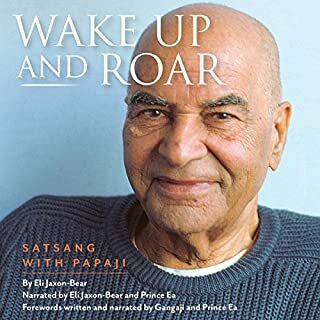 Wake Up and Roar: Satsang with Papaji is the profound result. It continues to thrive as a living teaching, awakening truth seekers with authentic and grounded wisdom from this great, beloved modern sage. Science is now revealing how the flow of thoughts actually sculpts the brain. 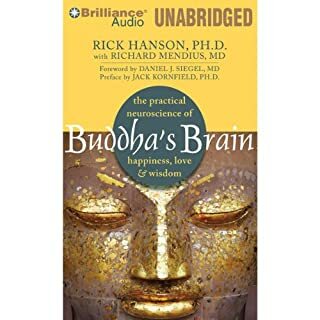 By combining breakthroughs in neuroscience with insights from thousands of years of contemplative practice, you, too, can use your mind to shape your brain for greater happiness, love, and wisdom. 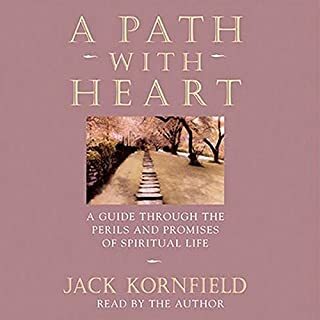 Jack Kornfield's A Path with Heart has been acclaimed as the most significant book yet about American Buddhism, a definitive guide to the practice of traditional mindfulness in America today. 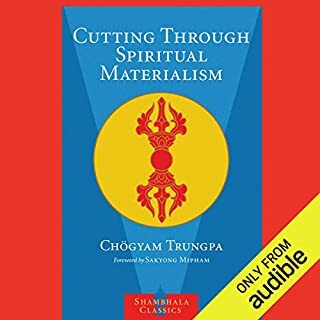 On this audio edition, Kornfield teaches the key principles of Buddhism's cherished vipassana (insight) tradition and puts them into direct service, with the unique needs of the contemporary seeker in mind. 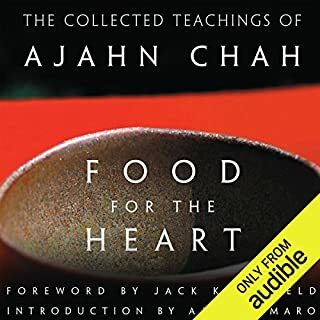 This collection brings together for the first time Ajahn Chah's most powerful teachings, including those on meditation, liberation from suffering, calming the mind, enlightenment and the "living dhamma". Most of these talks have previously only been available in limited, private editions and the publication of Food for the Heart, therefore, represents a momentous occasion: the hugely increased accessibility of his words and wisdom. 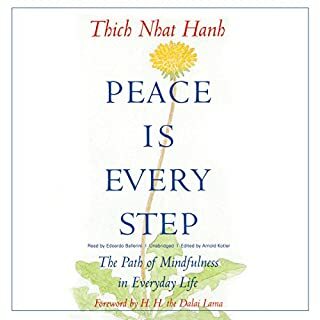 Lucidly and beautifully written, Peace Is Every Step contains commentaries, meditations, personal anecdotes, and stories from Nhat Hanh's experiences as a peace activist, teacher, and community leader. 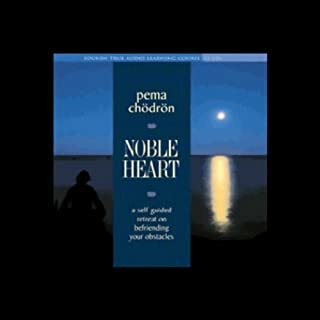 It begins where the listener already is - in the kitchen, office, driving a car, walking - and shows how deep meditative presence is available now. For millennia, Buddhists have enjoyed the limitless benefits of meditation. But how does it work? 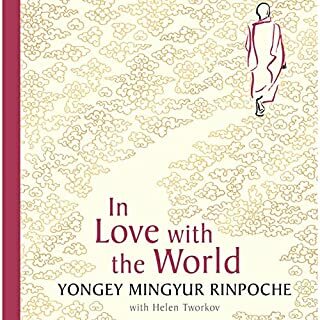 In this groundbreaking book, world-renowned Buddhist teacher Yongey Mingyur Rinpoche invites us to join him in unlocking the secrets behind the practice of meditation. With an infectious joy and insatiable curiosity, he weaves together the principles of Tibetan Buddhism, neuroscience, and quantum physics in a way that will forever change the way we understand the human experience. Using the basic meditation practices he provides, we can discover paths through everyday problems, transforming obstacles into opportunities to recognize the unlimited potential of our own minds. 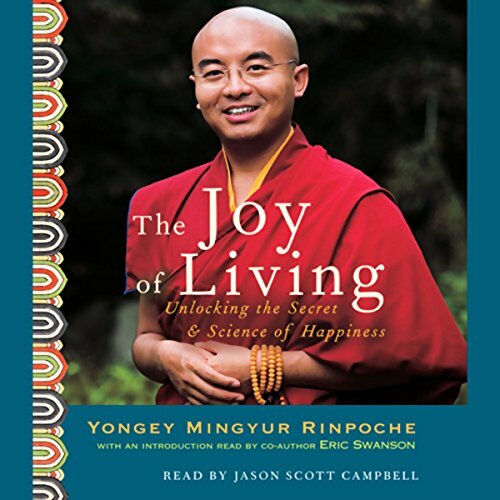 With an introduction by co-author Eric Swanson, The Joy of Living is a stunning breakthrough, an illuminating vision of the science of Buddhism and a handbook for transforming our minds, bodies, and lives. ©2007 Yongey Mingyur Rinpoche (P)2007 Random House Inc. Random House Audio, a division of Random House Inc. This book make you feel that anything is possible and without striving too much. I do the headspace app daily practice and this book gave me some new ideas and background into mindfulness. 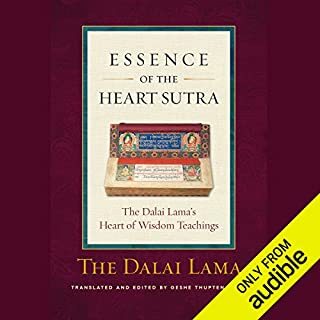 This book is the first audiobook on Buddhist teachings I have tried. While some books I have read (and subsequently re-read!) can be heavy going, I found this book to be remarkably refreshing. The author uses simple methods to convey his meanings and while makes things easy to understand, does not oversimplify the subject. Some sections seem hard to grasp first time around, but upon relistening I found the subject very enlightrning indeed. In fact I had to rewind much less than I have had to re-read other books on the subject. 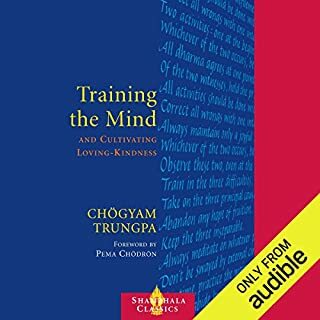 A good starting point for anyone who wants to know about Buddhist teachings. This is an amazing book. I have read it and now its also become a daily listen to prepare you for whatever life throws at you. Very well read and thoroughly enjoyable. I have read and listened to this book and even given a copy to my children and some friends. I think it contains fundamental information for living a peaceful, happy life in a realistic way. The evidence is produced for meditation in ways that are straightforward and easy to take on board. It is one of my 'lifetime best' books - cant recommend it highly enough. This is a great, great book. Unfortunately this audio version is severly abridged. Better to read the print version. A book for people interested in the nature of reality. Concise, scientifically oriented and spiritual at the same time. Easy to listen to but requires attention. If you could sum up The Joy of Living in three words, what would they be? The connections between science and spirituality were the best I've ever heard! Absolutely. I finished it in two days!! I've read many Buddhist and Hindu texts, but none have come close to this in terms of readability. Mingyar presents a very accessible set of instructions and insights written modern language with examples that most of us can relate to. There's no riddles, no hidden secrets, or unrealistic claims...just simple, easy to follow lessons. This is an audiobook I will come back to again and again I may have to get the print version which is unabridged. Some interesting ideas about brain and mind; science and spirituality. I found it a tad light on practical tips, and a bit heavy on the supernatural towards the end. Still a worthwhile listen! An easy, engaging listen with surprising insights. What did you love best about The Joy of Living? Yongey Mingyur Rinpoche makes what is often an exotic and esoteric subject very accesible thanks to his familiarity with Western culture and concerns. Rinpoche illustrates the basic points of Tibeten Buddhism and meditation practice with his own life experiences... which really are interesting and engaging. What about Eric Swanson and Jason Scott Campbell ’s performance did you like? The read is natural, well-paced, and unaffected. I did not realize this was abridged. I am just now seeing that this was the abridged version. I feel like I still learned significantly about Buddhist mindfulness and meditation and what I learned was presented in a way that I could easy implement these ideas in my life. No, I am not Buddhist or interested in converting. - Provides easy access to mindfulness. - Changes perception on mindfulness. - provokes clear insight into mindfulness. - overall, great and nice book to learn mindfulness. I fell on love with compassionate narrative voice! Content worth listening over and over again! Loved it!